The subject of books we read in school came up at dinner with friends the other night. As is always expected when individuals of varying life experiences and approaches to life are assembled in one place for the purpose of eating, there were many differing opinions about many things, including reading. There are actually just a few books that I read in school that I remember. Sadly, I remember considerably more about the “pleasure” reading to which I devoted so much more time. Yes, I went through a “sick books” phase. “Sick books” – in the event you never experienced one – are books in which one of the main characters takes ill (probably leukemia, a brain tumor, or a preexisting heart condition the character has had from birth which only serves to make the story that much more heartbreaking) and probably dies, most likely leaving behind his or her one and only true love. Happily, I did outgrow them. Here are the assigned books that I actually remember reading (minus one which I omit because I have nothing either entertaining or remotely positive to say about it), and what I remember thinking about them at the time. 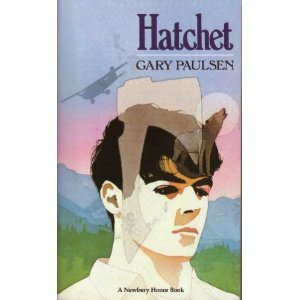 Hatchet, by Gary Paulson. It was about a boy who was stranded in the woods in the middle of nowhere after a plane crash. I remember long accounts of shelter-building and being very bored indeed. White Fang, by Jack London. Seriously, the only thing I remember about this is descriptions of blood and violence. And it’s hazy enough that these may be just my lasting impressions rather than actual memories of scenes in the book. Where the Red Fern Grows, by Wilson Rawls. I remember sitting in the classroom during silent reading time and trying very hard not to cry, and not succeeding. If you can read this book without crying, you may be entirely heartless. To Kill a Mockingbird, by Harper Lee. This is one of the few books assigned that I actually enjoyed, and it is perhaps one of the first books I read that, once I came to the end, I sat in awe for a few minutes to think about it. It’s still on my list of favorites. Les Miserables, by Victor Hugo. My principal memory is of sitting in my parents’ living room on a Sunday afternoon and finishing the novel, and my parents finding me weeping, which they seemed to find hilarious. These same parents had a copy of this novel on audio cassette, and I can remember how it almost always went with us on road trips. For whatever reason, I had it confused for the longest time with the “little matchgirl” story, because the picture on the front was how I imagined the little matchgirl to look. So you might say I remember hearing this story long before I understood it. The Heart of Darkness, by Joseph Conrad. In his dedication to Good Poems, Garrison Keillor said, “To all the English teachers, especially the great ones”, and it is only because of one of those great English teachers that I will never forget this book, for more reasons than I probably have time to tell tonight. Thanks, Mr. Robertson. This entry was posted in Books, Reviews, and Reading and tagged books, reading on July 27, 2011 by ms.grammarian. 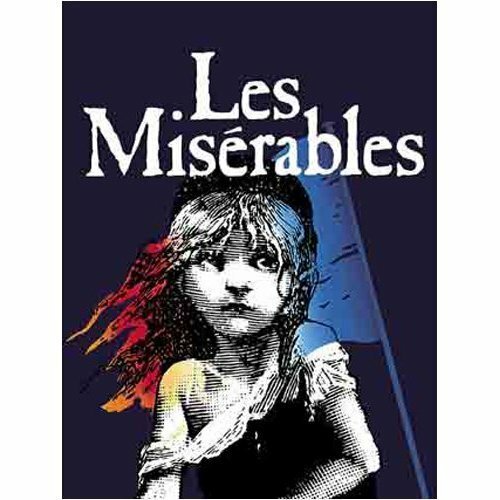 I read Les Mis for fun in high school, and loved it, despite the hundred page history rants that Hugo was so fond of. The scene with the poker convinced me that Jean Valjean was a badass. Sometimes I wonder if being forced to read books in school makes them less enjoyable than reading the same books for fun. Thanks for your comment, Grace! I’ve often wondered about that very question. I did really enjoy Les Mis, I just got very emotional at the end… Some of these might be worth revisiting as an adult to see how our perspectives have changed!